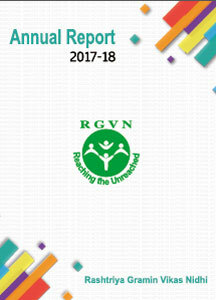 RGVN builds grassroot institutions and offers support in the form of need assessment, capacity development and strategic business development of the organizations. RGVN introduces sustainable agricultural practices and ensures post-project sustenance. RGVN’s capacity building activities comprise grassroot level institutions, SHGs, NGOs, Cooperatives and Famers’ Clubs. RGVN is looking for your support. RGVN aims at a sustainable livelihood of rural poor where women are given priority. To make this process more effective and sustainable, RGVN delivers financial and non- financial support through nurturing and strengthening the grassroots level initiatives through NGOs and community owned institutions.